I’ve been seeing these doodles on various websites, and there’s even a class being taught at my favorite local rubber stamping store. I don’t have time to take a class on it, but I’ve wanted to try it out for ages! So here goes, my first Zentangle for my Thing-A-Day #5! They can be addicting….. but I hear what you are saying about being uptight about first attempts at them. i hadn’t heard of these before, your first attempt looks great! did you try to follow their methodology or did you create your own process? Very cool stuff! You’ve made a great beginning, and I can see the attraction. I followed your link to the site and watched a couple of the you tube videos they recommended, too. I always have a small drawing pad with me, will make sure i have some pens with me, too. 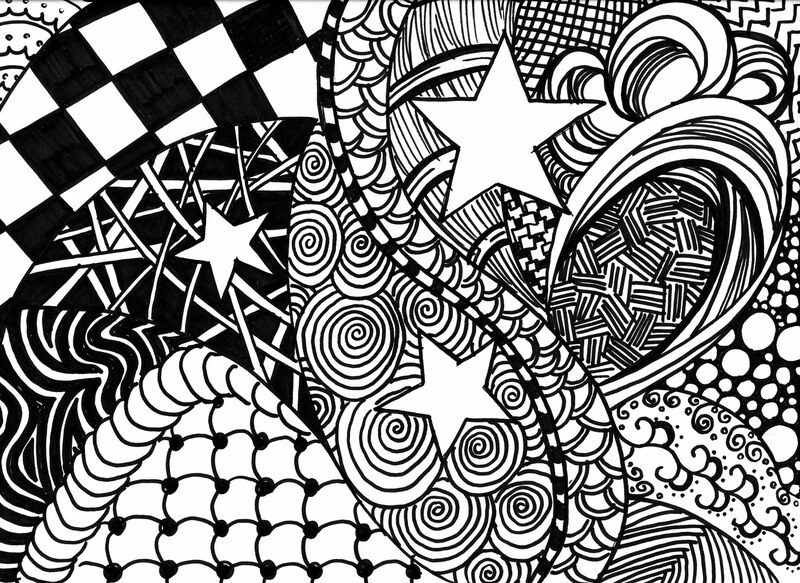 I’m a CZT – Certified Zentangle Teacher – so naturally, I highly recommend the art form. This is lovely! The thing I like best about Zentangle is that it’s really impossible to do it wrong.